From an Academy Award-nominated screenwriter, an epic novel of love and loss and the long shadows war leaves behind. Summer, 1942: Kitty, an army driver stationed in Sussex, meets Ed, a Royal Marine commando, and Larry, a liaison officer with Combined Ops. She falls instantly in love with Ed, who falls in love with her. So does Larry. Both men go off to war, and Ed wins the highest military honor for his bravery. But sometimes heroes don’t make the best husbands. Motherland follows Kitty, Ed, and Larry from wartime England and the brutally tragic Dieppe raid to Nazi-occupied France, India after the war, and Jamaica before independence. Against this ever-changing backdrop - as they witness history being made and participate in the smaller dramas of romance, friendship, and parenthood - these three friends make choices that will determine the challenges and triumphs of their lives. But the insistent current running through all they experience is the unacknowledged tension of the love triangle that binds them together and must somehow be resolved. 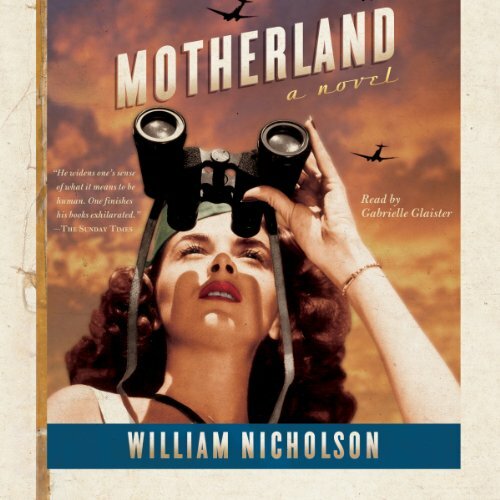 Written by an award-winning screenwriter whose novels have earned extraordinary critical praise, Motherland is a compelling, pause-resisting narrative brimming with stunning war scenes, pageantry, politics, and questions about faith and art, as well as quiet, intimate moments of passion, doubt, and longing. Above all, it is a great love story about three people struggling to find happiness and meaning amid war and its aftermath.